Avesech is a 10 year old boy. Avasech is one of 4 children. His father earns a living as a casual labourer. Work is hard to get and they survive on a meagre monthly income. 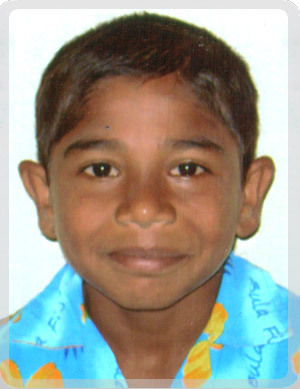 Avesech enjoys attending school and his favourite school subject is all subjects. Avesech travels to school each day on foot, which is luckily a short distance. When he grows up, Avesech wants to be a hotel chef. Avesech's family is facing extreme financial difficulties especially at these trying times. Urgent financial assistance is needed to support his education. Avesech now receives the education every child deserves.